Landlords & BTL mortgage lenders - how they work? The dust is just starting to settle on the ‘credit crunch’ and landlords & BTL mortgage lenders are beginning to get some kind of clarity of what the buy-to-let mortgage market of the future will look like. Many landlords have been holding fire on remortgaging or buying additional residential investment properties waiting to see how things ‘pan out’. The Council of Mortgage Lenders today announced that buy-to-let lending last year accounted for just over 10% of all mortgage lending and that total buy-to-let mortgages passed the million mark for the first time. After the turmoil of the last 6 months Property Hawk decided to take a look inside the buy-to-let mortgage industry and discover what really goes on. Here is the inside track on buy-to-let mortgages. Most landlords have heard of the Financial Services Authority (FSA). It was established by the Government to protect the interests of consumers and it now regulates a whole host of financial products from pensions to residential mortgages. However, at the present time, buy-to-let mortgages are not regulated by the Financial Services Authority (FSA). This is because they are classed as a commercial product. The assumption is that people operating in this sector are ‘commercially aware’ and do not need the same level of protection. There is a trade body called the National Association of Commercial Finance Brokers (NACFB) which some mortgage brokers belong to. Membership of the National Association of Commercial Finance Brokers (NACFB)is voluntary and it sets out guidelines for its members to operate within. However, Landlords should be aware that they have no direct powers to act in the consumer’s interest against anybody that breaks this code although it does have its own complaints and disciplinary procedures to product landlords against unacceptable working practices by any of its members. Although buy-to-let mortgages are not regulated by the Financial Services Authority, they are still covered by the Financial Ombudsman Service (FOS) http://www.financial-ombudsman.org.uk/. This means that by going through a BTL mortgage broker and receiving advice, a landlord has a degree of protection against taking the wrong product or a bad deal, as opposed to none if a landlord goes it alone. Complaints against brokers are independently reviewed by the Financial Ombudsman Service (FOS), using the principles of Treating Customers Fairly, which cover such things as the way that a deal was marketed to a landlord, whether a landlord received sufficient information to make an informed decision, whether they were aware of all of the costs involved in the transaction and so on. Things are not all bad. It is exactly because of this light regulation the UK has one of the most competitive mortgage markets in the world resulting in a constant array of new and innovative buy-to-let products. Unfortunately light regulatory touch also means that there are a few ‘dodgy’ operators out there that can exist legally and make money out of naive landlords. Therefore landlords need to be wary about who they buy through and how the BTL mortgage product is sold. Where do landlords sit in the buy-to-let mortgage industry? The arrangements in the buy-to-let industry are slightly complicated in that some of the so called providers like the building societies will sometimes sell direct to the consumer and not through an intermediary. Most landlords are now savvy enough to shop around amongst various BTL providers to ensure we get the best deal. Hence we go to an intermediary such as a mortgage broker; who offer a range of products from a variety of BTL mortgage providers. Buy-to-let mortgage brokers can be office based but increasingly operate through the Internet. Most mortgage providers like having intermediaries because it means they save on marketing expenses, relying instead on these agents to do the selling work for them. It also means that the intermediaries can filter the applicants to ensure that they meet the mortgage lenders criteria and then deal with all the initial form filling to ensure that any application is made correctly. The reward for all this is that most BTL lenders pay the intermediary a Procuration fee or commission – typically around 0.3% – 0.5% of the BTL loan amount. The intermediary then also generally gives advice to the consumer. In most cases they charge a fee for this; the brokers fee. This is the basic structure of the industry, although there are variations in the business model with some BTL mortgage companies choosing to sell direct to landlords. Some of the mortgage comparison websites such as; Moneysupermarket and Moneynet act as the intermediary, but without offering advice. They allow the consumer to select their own products. They receive their revenue either each time a product is sold, or when a lead is passed through to the mortgage provider. One of the potential difficulties with this mortgage broker based system is that the mortgage broker is in a position of trust. The landlord relies on the BTL mortgage broker to recommend the best product and not necessary the buy-to-let mortgage for which they receive the highest commission. The other aspect that a landlord should be aware of is that it is difficult to know how many mortgage companies the BTL mortgage broker has access to. They might give a landlord best advice but if they only have 5 mortgage companies on their books compared to the 50 or so out there, then their BTL mortgage advice and a landlords choice will inevitably be limited. Buy-to-let mortgage brokers frequently advertise themselves as offering whole of market advice, however this may be technically true but how many BTL mortgage brokers are likely to register with a buy-to-let mortgage provider that pays no commission? Also when a broker says they offer whole of the market advice the Financial Services Authority (FSA) require the broker to have a lenders panel that is representative. It does not literally mean that a landlord can access every buy-to-let lender or BTL mortgage. Therefore, when selecting a BTL mortgage landlords should be aware of the limitations of the current system and ensure that they get all the necessary advice from a trusted source so that they can then find a buy-to-let mortgage that meets their requirements. Landlords thinking of obtaining a buy-to-let mortgage or remortgaging this year should look out for the NEW mortgage section coming to Property Hawk very soon. This microsite we believe will offer landlords the most comprehensive and unbiased advice on buy-to-let mortgages any where on the Internet. It will enable landlords to choose how they source their buy-to-let mortgage. It should enable landlords to go direct to every UK buy-to-let lender or to one of the UK’s leading mortgage brokers. 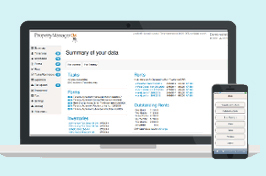 Landlords will also be free to search using a unique database of named UK buy-to-let mortgage products powered by Moneynet. We are convinced it will make finding a buy-to-let mortgage simpler, easier and more transparent than ever before.